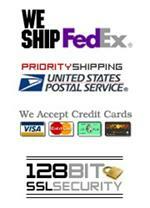 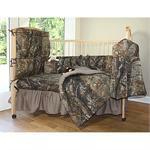 28"W x 18"H headboard cover, 160"W x 10 1/2"H bumper pad and 2 28"W x 53"L fitted sheets. 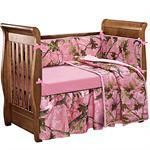 A Bedskirt measures 28"W x 53"L with an 11" drop comforter measures 36"W x 48"L. All machine washable. 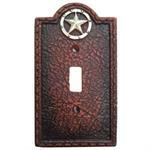 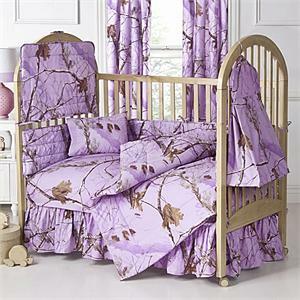 Be sure to check out our other Lavender RealTree accessories. 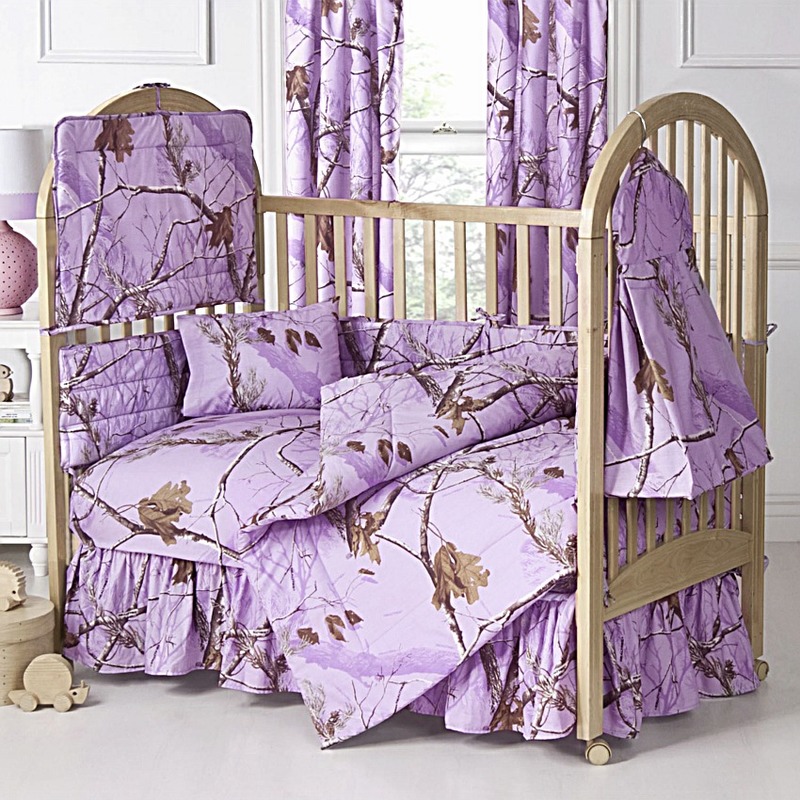 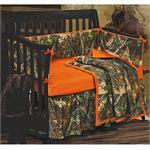 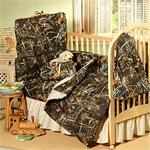 AP Realtree Lavender Camo Curtain and Valance set includes 2 tie backs. 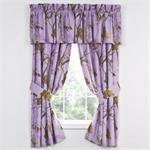 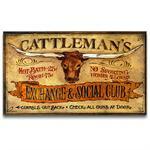 Curtains measures 42W x 42L and a Valance 88"x18"